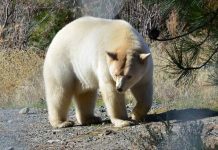 The wild polar bear (Ursus maritimus) lives up to 20 years but the maximum lifespan rarely goes beyond 25 years. 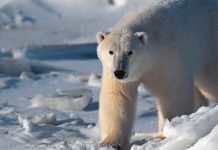 In this article we’re going to study what is the life expectancy of a polar bear. One of the wild specimens died at 32 years age which is so far the oldest on record. In captivity a female polar bear lived as long as 43 years. She died in 1991. 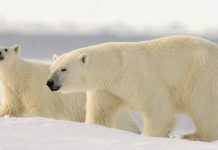 Unluckily scientists have not been able to understand the real causes of polar bear’s mortality in the arctic habitat. This is because the carcasses of dead bears are hard to find in the frosty habitat. Let’s see how old do polar bears live in the arctic as well as in captivity. 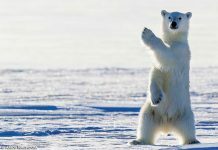 Biologists have reason to believe that polar bears have low lifespans in the wild habitat mainly because they find it hard to hunt seals as they eventually grow older. Besides, starving with age is a tough ask. 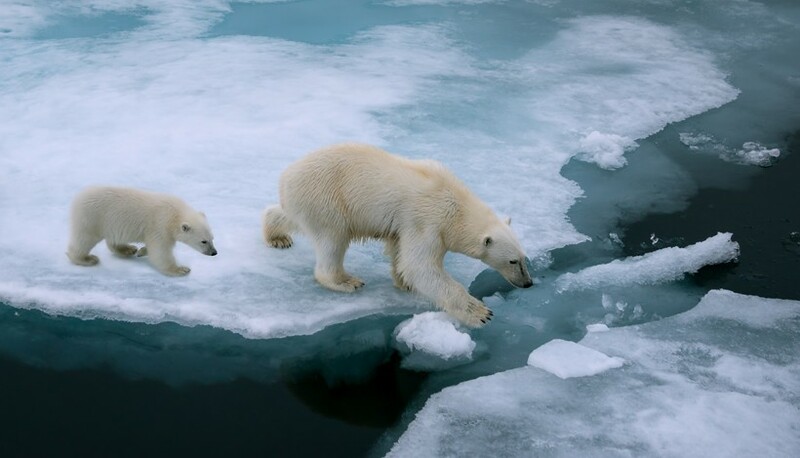 On an average arctic polar bears live for 18 – 20 years. Only a handful number of bears are perhaps lucky enough to celebrate their silver jubilee. Captive bears live longer lives because they are fed properly and on timely basis and they are given ideal environment. They do not hunt animals for they don’t need to. All these contribute to the longer lifespan of polar bears in captivity. 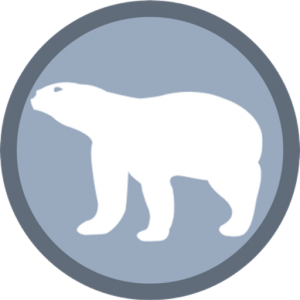 How Old can Polar Bears Live up to? Under the ideal conditions such as those provided in captivity polar bears live around 32 – 35 years with one captive specimen reaching 43 years age. However in the arctic they can hardly survive beyond 25 years due to difficulty in hunting at an old age. Males are thought to have lesser annual survival rate as compared to females within wild populations. This is probably because male polar bears get into conflict on females and their fight often leads to fatal injuries. Over time polar bears begin to lose strength and possibly desire to hunt seals. They will now rely on easy meal such as those that can be found without hunting i.e. carcasses. However in the frigid arctic habitat the carcasses are hard (even harder) to find. Many adult polar bears are thought to survive on dead carcasses and sometimes bird (geese) eggs. These food sources do not provide sufficient nutrition value to polar bears since they rely almost exclusively on fats. 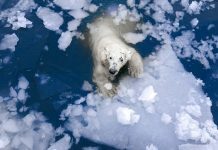 Thus the scarcity of food and a lack of will power in polar bears become the significant causes of their deaths. Polar bears do not seem to have any natural predator in the arctic. However adult bears do sometimes fight each other just to win over a female during breeding season. The polar bear’s fight leads to serious bruises which are likely the causes of her death. The injured bear however powerful she may be is less likely to hunt. 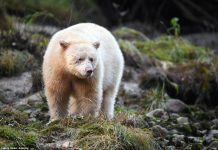 Besides fighting, adult polar bears also kill cubs to mostly to bring females into estrus and rarely to eat them as a potential food source. The interspecific conflicts also appear to become greater when the food is scarce. All these causes lead to the shorter lifespans of a polar bear in the wild habitat.